1. Nearly a year ago, the National Peanut Board approached me and wanted to know if I could submit some peanut butter recipes for an upcoming cookbook they were publishing. I’m the peanut butter queen and this was no problem for me. 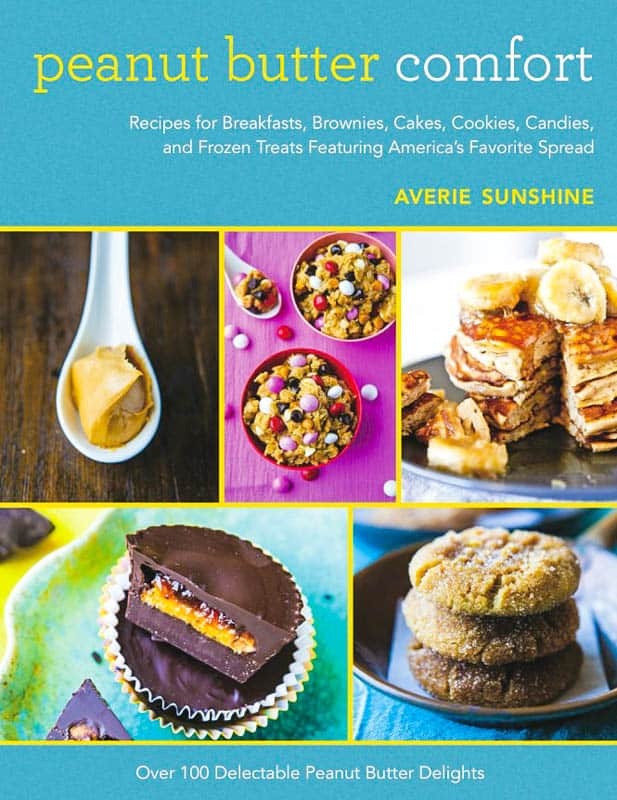 Independently, I was writing my own cookbook, Peanut Butter Comfort, which is being released in 6 weeks and is available now on Amazon for preorder. Stay tuned this weekend. I have a giveaway coming up that may interest you. 2. 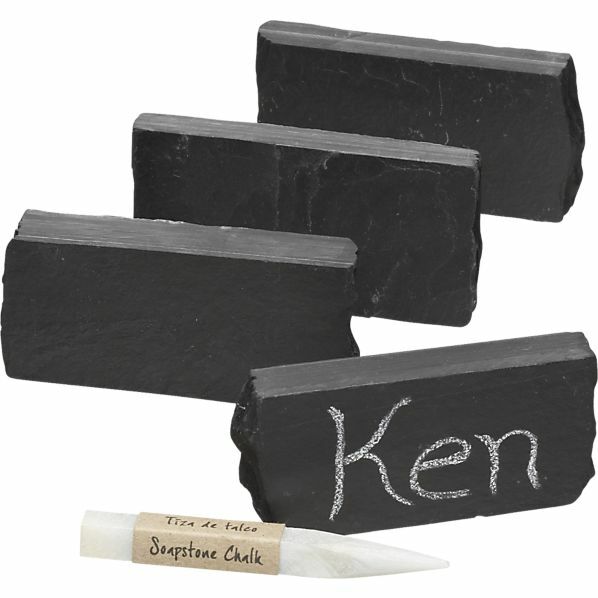 Set of 4 Slate Placecard Holders with Soapstone Chalk, $12.95 Crate and Barrel. How fun would these be for a party or for labeling different items on a big buffet spread. 3. 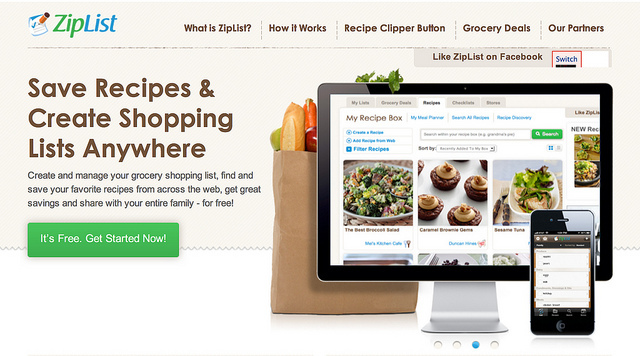 Seven Recipe-Saving Sites to make your recipe-saving life easier. I’ve blogged many times about how I have recipes on paper note cards, scratched on napkins, and my online recipes were a hodgepodge of emails I sent to myself, bookmarks, Pins, and nothing was well-organized until I started using ZipList. It only works if the blog I visit has signed up to use it, but if they have it’s wonderful and more and more bloggers seem to be getting on board. 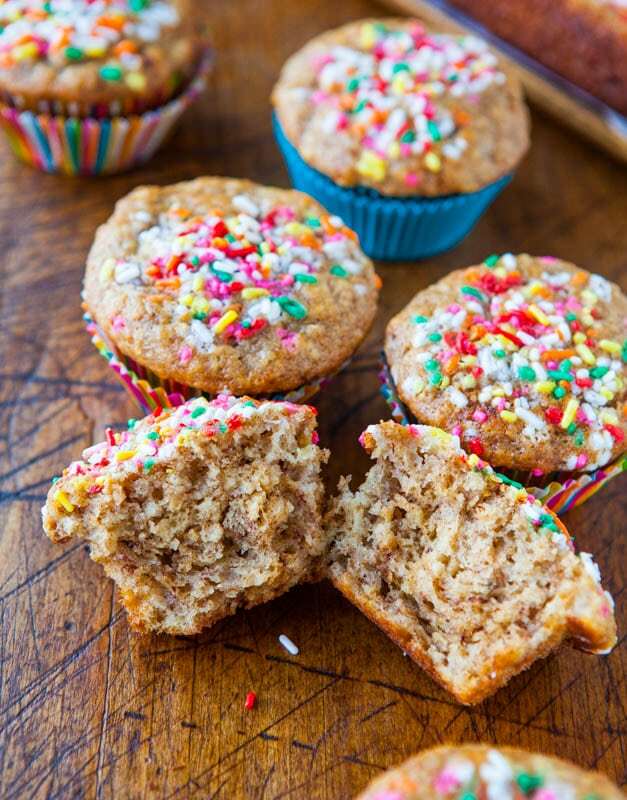 I can save any recipe I see online in a handy virtual recipe box that I can access and then scroll through for rainy day inspiration. Sign up for free if you haven’t already. 5. Secrets to the perfect cheese danish using puff pastry as a handy shortcut from America’s Test Kitchen. 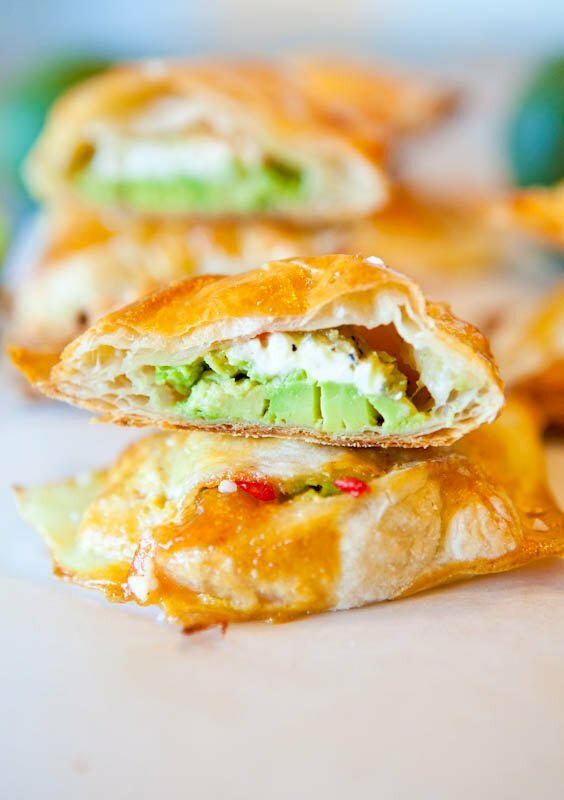 This recipe for Avocado Cream Cheese and Salsa-Stuffed Puff Pastry (vegan) is one of the most popular on my site. 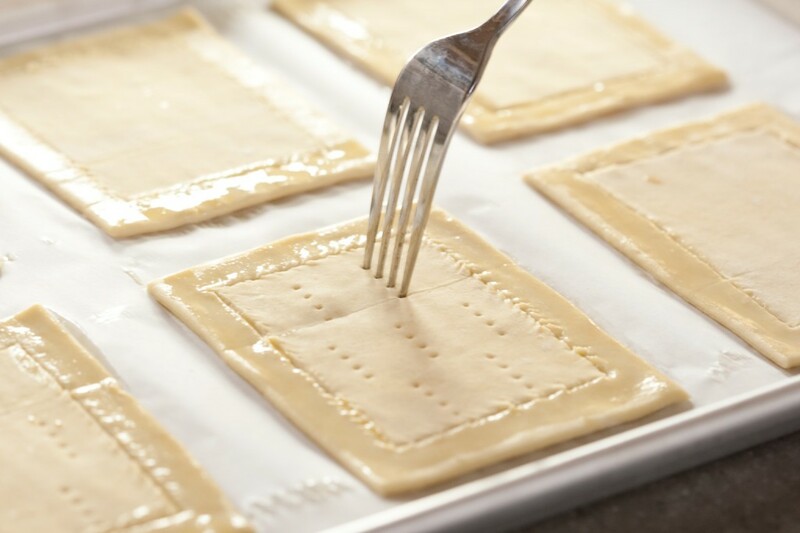 From sweet to savory, puff pastry is such a versatile workhorse. 6. 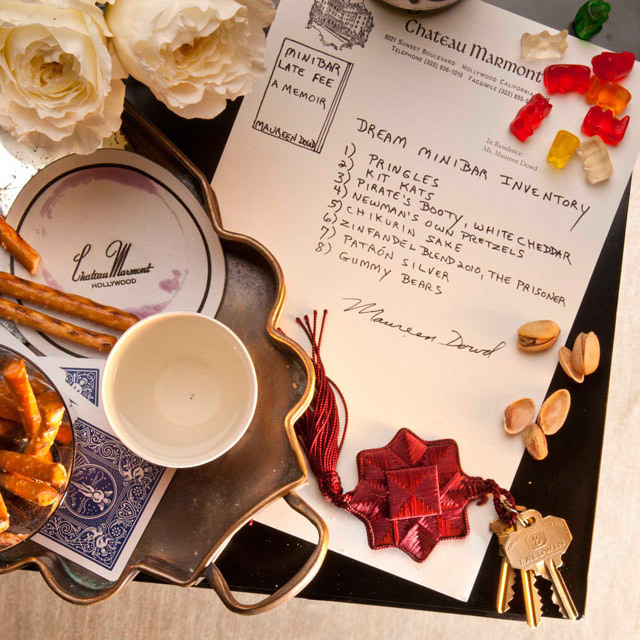 Dream hotel minibar inventory from New York Times columnist Maureen Dowd. I concur that Pringles, Kit Kats, White Cheddar Pirate’s Booty, and gummy bears taste pretty dandy at 2am after a night out. Don’t forget the peanut butter or cheese mini Ritz sandwich crackers, maybe a few Tootsie Pops, and a Little Debbie Oatmeal Cream Pie wouldn’t hurt. And eating Pringles in hotel beds is totally okay because even if crumbs get in the bed, it doesn’t matter because the maids are changing the sheets in the morning. 7. I want this look from Anthro, especially the blouse. Love the color and the print. And the purse. And the shoes. And the white capris. Yeah, the whole look. 8. 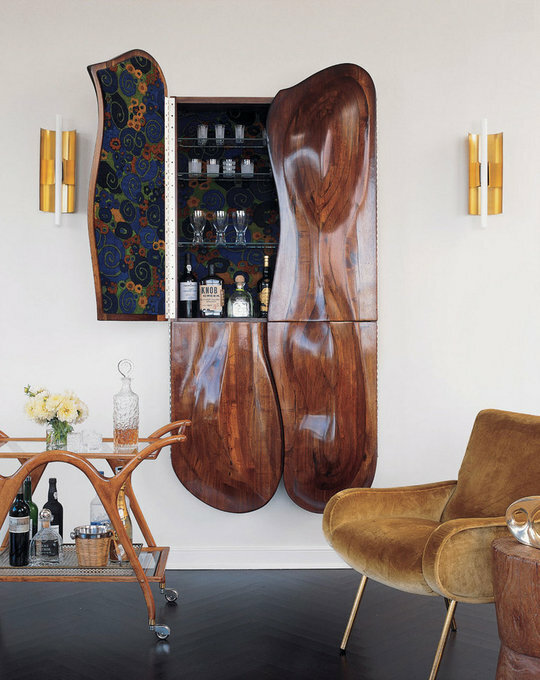 Wall-Mounted Cabinet Bar that exists to put your home bar to shame. Stunning. 9. 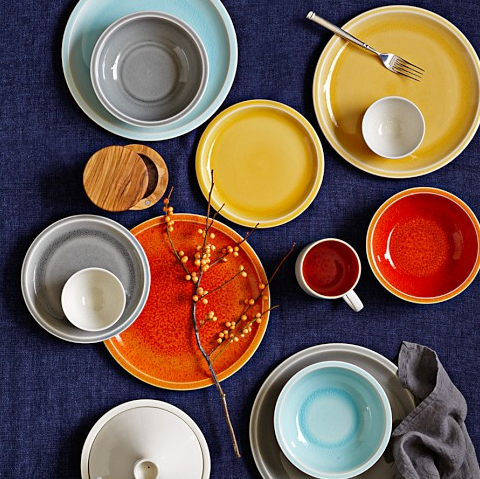 Jars Cantine 16-piece Dinnerware Set, $366.95 at Williams-Sonoma. Crafted in the south of France at the award-winning Jars pottery, I love the look. Simple yet vibrant, fun, unfussy enough to be practical. 10. It’s been quite a week and my heart goes out to everyone effected by the Boston tragedy. 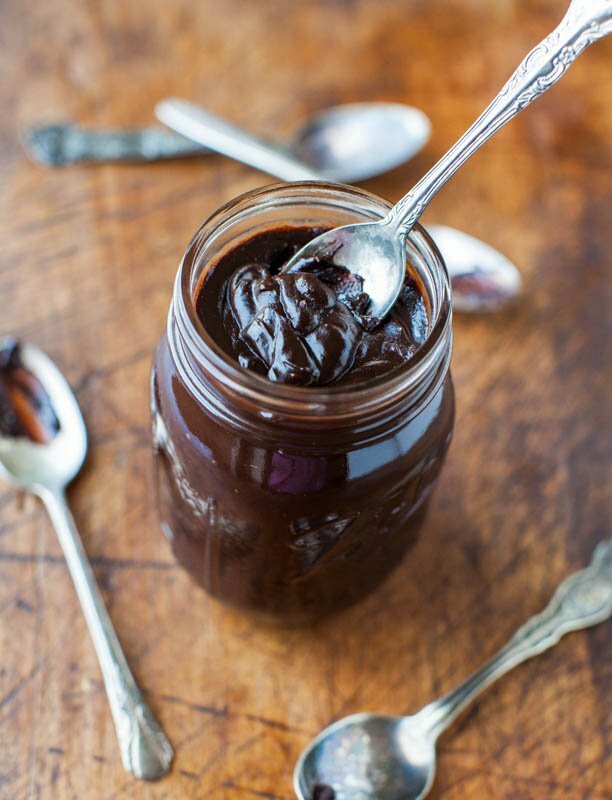 I plan to eat chocolate with a spoon as I continue to reflect. And I wish I was eating one of these Peanut Butter Cup Cookie Dough Crumble Bars. I’ve been thinking about them ever since I made them. What are your Friday Things? If you’ve made anything, done, seen, or bought anything fabulous recently, feel free to link it up in the comments. Cookbooks you’re loving lately? Weekend plans? Dream mini-bar list? Dream outfits or cute dishes you’ve seen? Have a great weekend and check back for two giveaways! Congrats on your cookbook and recipes you’re having published in the other one. Your recipes and photos never cease to amaze me! Your cookbook looks amazing, Averie!! Congratulations! So happy for you! You really are the peanut butter queen! And I am so incredibly excited for your book launch in 6 weeks! Whoa, those pb cup cookie dough bars look scrumptious!!! 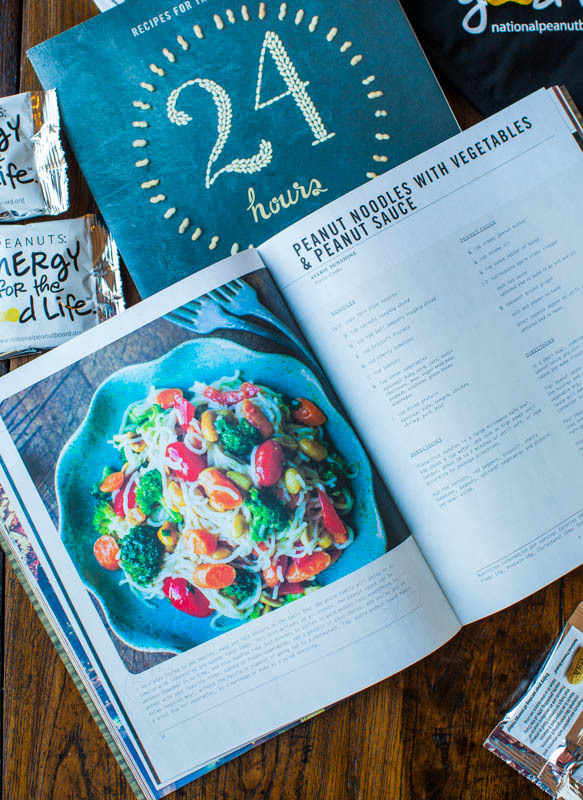 You have made some incredible pb dishes…a big congrats on your upcoming cookbook release!!! I made the peanut butter crumble bars….they were AMAZING!! Dangerously good…..almost ate all of them by myself. But I did cut them smaller so it made about 12 to 14 for me. peanut butter is so amazing. love all your recipes! I am glad to see you submitted both a savory and a sweet recipe – I would have been shocked if it were just the savory! that mini-bar list is great – love that Patron is on there. I always love a huge bag of popcorn at 2 am. That’s when I am all about cravings for salt, not sweet. Peanut butter cups, too. Obviously. 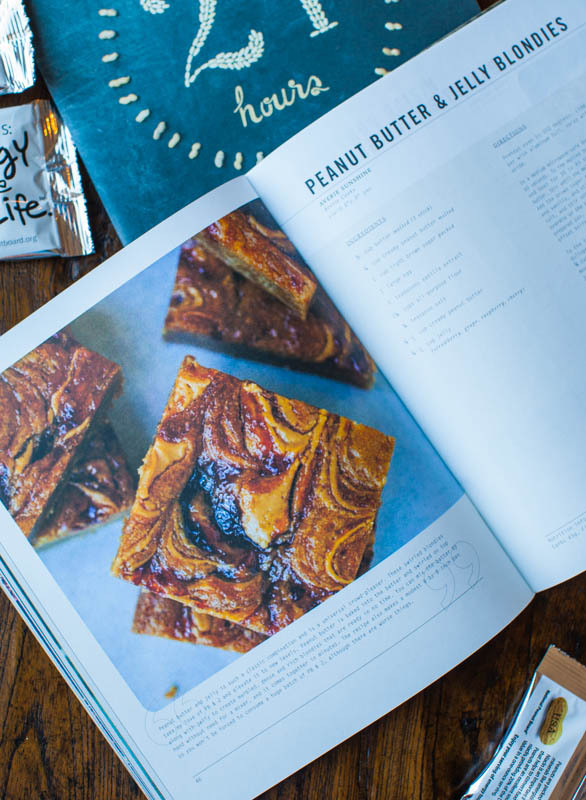 omg, the peanut butter bars looks sooooooooooooo good. I do a post on Friday’s favorites too, this week I’m loving Moroccan Oil shampoo/conditioner and Estee Lauder’s Time Zone. Good stuf. I can’t wait for your book! That cabinet is so cool too! I think I’m definitely going to have to try ZipList. I have recipes EVERYWHERE. A lot are pinned on Pinterest, which has helped, but I hate flipping through binders trying to find things. But mostly it will help for my fledgling blog. I just got Bobby Deen’s From Mama’s Table to Mine, and there are a number of recipes I want to try. I have to try and keep my actual meals healthy so I can indulge on your Sugar-Doodle Vanilla Cookies on occasion! I am DROOLING over the PB Cup Cookie Dough Crumble Bars! I made your Peanut Butter Oatmeal White Chocolate Cookies this week, so those will be on the list for next week!! I love your explanations and descriptions of texture in your recipes. So helpful!! I bet your book will be fantastic. The Peanut Butter Oatmeal White Chocolate Cookies are some of my faves! So glad you tried them and that you like my explanations and descriptions. I like to really paint a picture since that’s helpful for me when I read blogs who are descriptive like that. I love the details and try to do that in my posts. Glad you enjoy! 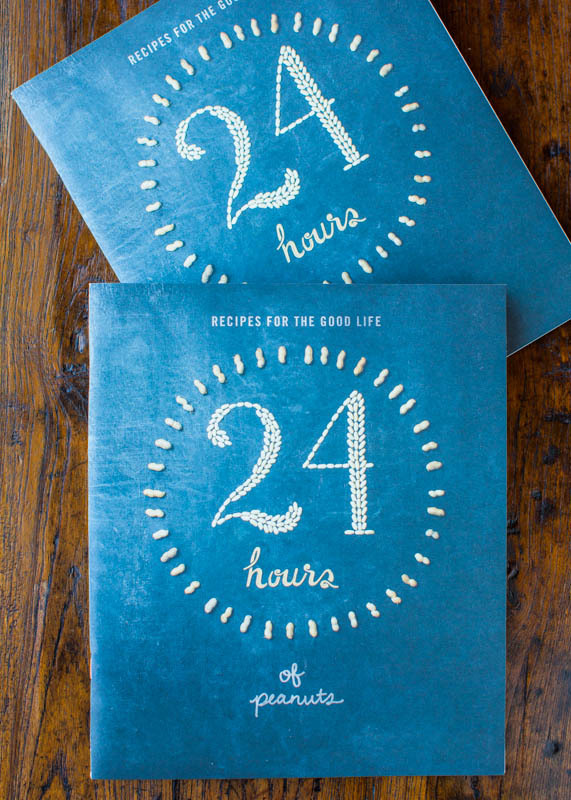 Ahhh I CANNOT wait for your cookbook! yayyy! 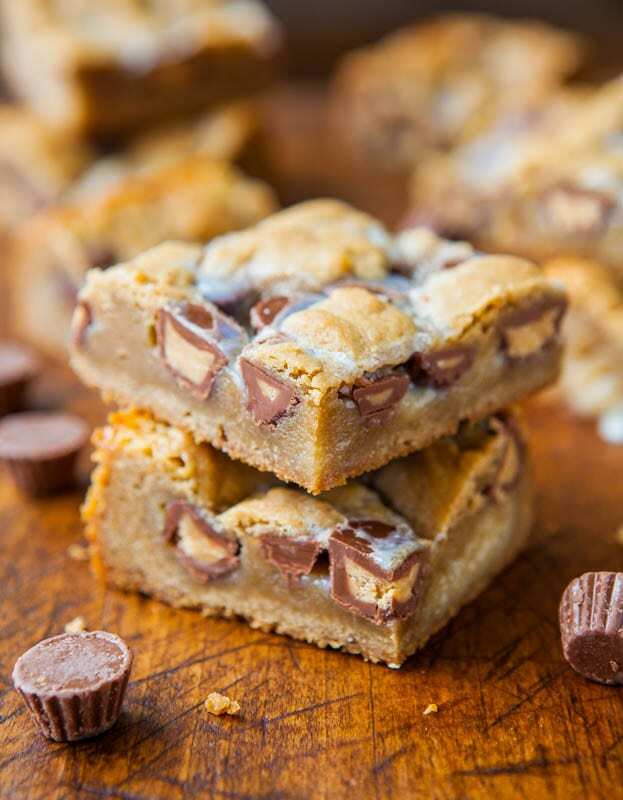 I am drooling over those peanut butter cookie cup crumble bars and I am making them in the morning for my friends birthday, who is obsessed with Reese’s. And I just pre-ordered your peanut butter cookbook. I share that obsession right along with ya. Fabulous recipes you create. My taste buds thank you! That’s wonderful you’re going to make them. You could even do them tonite so they have a good long chance to chill over night and settle in, but either way, you’re going to love them! LMK what you think, ok! I need to try those peanut butter & jelly blondies Averie! I need a copy of that book. If I don’t win it, I will def be buying it! You know I can’t get enough of my peanut butter. I’m making peanut butter banana bread today. Mmmm so good. That Anthro outfit – adorable. Maybe when I’m a millionaire. And when you are too – from all the PB Comfort sales. :) That wall mounted cabinet bar is gorgeous. How clever! And my dream mini bar list would include your PBJ blondies, Mike n Ikes, tootsie pops, your hot fudge and a spoon.